Imagine being fast asleep inside of your home when all of a sudden you’re awakened by a strange noise. The rest of the family is still asleep, but you are very much awake and listening for the sounds of an intruder. Seconds feel like minutes as the anxiety wells up in your body. Anxiety turns to panic when you clearly recognize the sound of footsteps coming from another part of the house. You are sure that the doors were locked when you went to bed, so how did someone get in? You reach for your cell phone and realize that you left it in the living room. There’s no way to call for help without getting to that phone. All you can do about the situation is hope and pray this intruder leaves without checking out the bedrooms. That’s a pretty scary scenario, right? Fortunately, this is just a story about a home burglary. However, this kind of situation happens to some unfortunate family every single night somewhere in America. Teledair Communications and Security specializes in providing high quality security systems in Sayre, as well as, sophisticated alarm systems in Binghamton and other Southern Tier cities. If you’ve been putting off equipping your home with a modern security alarm system, perhaps it’s time to consider taking action on getting it done so that your family doesn’t become another crime statistic. Maybe you are a business owner in Binghamton, Sayre or the surrounding areas. Perhaps you’ve never thought too much about adding extra security beyond making sure the doors are locked when the business day is over. The truth about locked doors is that they are not an effective deterrent for thieves. There is nothing that makes a business owner more angry and frustrated as having their place of business robbed of money and valuables. For small business owners a robbery can seriously impact cash flow and the ability to continue earning. Instead of leaving your business open to random burglary, or employee theft, it’s a good idea to take proactive measures to protect your assets. For example, Tedeski’s Pizza in Binghamton turned to Teledair for a complete security upgrade. 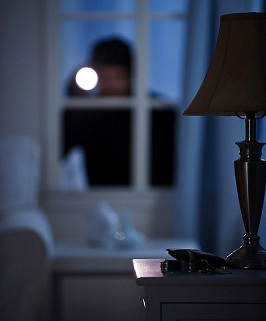 We installed a state-of-the-art burglary system in their location, which protects their property 24-hours a day. Retail businesses are prime targets for burglary, so we are happy that Tedeski’s is now protected. But, what if your business isn’t a retail establishment? Is an alarm system really necessary? As local security specialists, our answer is always that it’s better to be safe than sorry. Not only are most businesses vulnerable to outside intruders when it comes to theft, in our experience, theft can also occur from the inside. Many business owners are shocked to learn that one of their employees is stealing money, or valuable property, right under their nose. While most employees are perfectly honest, there are a few bad eggs in the bunch from time to time. 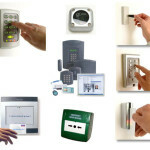 By installing a burglary prevention system that includes an alarm and camera, any business can operate more soundly. Contact Teledair Communications and Security to discuss alarm systems in Sayre, Binghamton or other southern NY/northern PA locations.